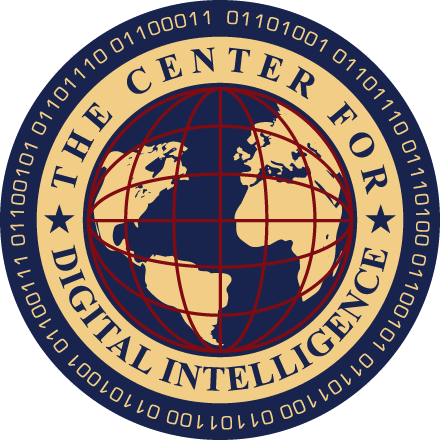 The Center for Digital Intelligence™ @Regalix: Could Mobile Devices and the Internet have Prevented the Rwandan Genocide? This week marks the tragic 20-year anniversary of the Rwandan Genocide. 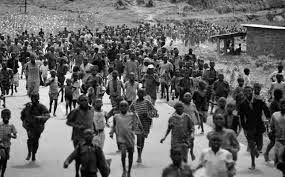 On April 7, 1994, the Hutu majority, which was in power at the time, began an organized effort to wipe out the minority Tutsis living in Rwanda and other neighboring countries. During an approximate 100-day period nearly 800,000 Tutsis and sympathizers were massacred, most by machete. The genocide was only stopped when an exiled Tutsi rebel group marched into Rwanda and overthrew the Hutu government. No outside international forces intervened to stop this massacre. The UN peacekeeping soldiers, lacking authorization to intervene and protect, stood by as the massacres happened within sight of their forces. This was and is to this day a great international shame. In Boise, Idaho we have a fast growing Congolese and Rwandan population of refugees that were forever impacted by this event. Many have spent the last 15 years living under plastic tarps on mud floors in refugee camps. The tragedy of these events is personal to me. It hits home nearly every day as our home is often filled with newly arrived Rwandan refugee families and friends. Many of my close friends suffer nightmares to this day from the mental and physical scars of these events. I often wonder if mobile devices with broadband Internet could have prevented or limited the Rwandan Genocide. In 1994 letters were sent through the postal service from fearful Tutsi families and churches begging for protection. Here is an excerpt from just one letter sent by a pastor to his church leadership, “We wish to inform you that tomorrow we will be killed with our families.” Tragically, the pastor’s words went silent and his predictions came true. His entire family and congregation was massacred. These letters were sent through the postal service. The world was not aware, informed or alerted in a manner that rose above the noise. These letters are now archived for us to read, remember and learn from. There was no instantaneous access to social media sites, online forums, blogs, Facebook, Twitter, Instagram, or places where citizen journalists with iPhones and broadband Internet could upload photos, videos and articles. There was no YouTube or widely used public news websites to spark immediate worldwide outrage. In 1994 the news of the massacres leaked out slowly and the rumors were too horrific to be believed. Facts were hard to come by. The scope and scale of the tragedy was difficult to measure. News crews found it dangerous to venture out into remote areas. It took weeks for the world to begin to learn the full scale of the violence and genocide and by then the tragedy had nearly run its course. I ask again, could mobile devices with cameras, broadband Internet connectivity and access to social media sites have stopped or limited this tragedy? In 1994, the world had limited news, limited understanding of events, limited perspective of the scale and scope of this tragedy, and limited interest. These challenges limited international outrage and prevented UN intervention and humanitarian responses. In the absence of news crews and photojournalists, the Hutu government, militia and instigators of violence felt immune from personal accountability, scrutiny and retribution. They gave into a mad, uncontrollable and unexplainable bloodlust. The violence continued unabated for 100 days. In 1994, the ruling Hutu party controlled most of the radio stations and newspapers in Rwanda. Propaganda ruled the airwaves calling for violence against the Tutsis. Many of the Rwandan news agencies and broadcasters themselves were later found by International courts to have been guilty of instigating and organizing the violence. I hope and pray that the ubiquity of mobile devices would make keeping genocide a secret far more difficult today. Every person with a mobile phone has the potential to be a citizen journalist. Every act of violence has the potential of being documented and the location and perpetrators identified. There are models today that demonstrate how mobile devices can be used to help prevent future genocides. In Kenya, a small group of volunteer programmers have developed a website and mapping solution called Ushahidi, http://en.wikipedia.org/wiki/Ushahidi, where people with mobile phones can report violence and document the location of incidences on a map. 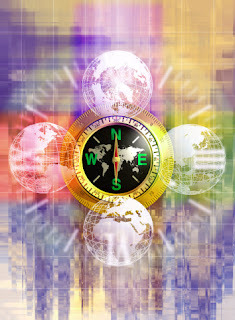 This information is instantly projected to a map on a website for the world to visualize, study and understand. Today, freedom of speech and the ability to widely communicate news, knowledge and ideas has the opportunity to transform societies and peoples as never before. Evil does not like the exposure and light of public scrutiny and debate. In some circles, it is popular to cast disparaging remarks at technology, mobile devices, the Internet and social media, but I for one appreciate the value of information transparency afforded by these technological advancements. I will celebrate the opportunity and freedom to know, and pray for the strength and courage to react with immediacy.